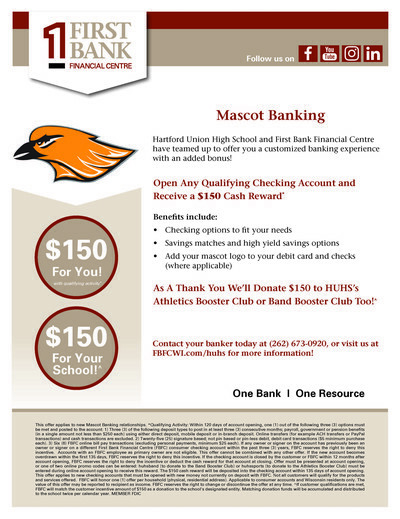 Hartford Union High School and First Bank Financial Centre have teamed up to offer you a customized banking experience. Open a qualified Checking account and receive $150 for you and $150 for the Band Booster Club or HUHS Booster Club, You choose! 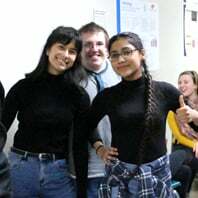 Participation in Hartford Union High School co-curricular activities are an integral part of the HUHS curriculum, which is a privilege and should elicit great pride in both the student and his/her family. 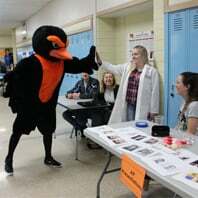 While our number one goal as a school district is to provide a sound academic experience for all of our students, co-curricular activities provide unique opportunities for students to promote their mental, physical, social, and emotional development. To participate in Co-Curricular WIAA sports the following must be turned in AT LEAST one week PRIOR to the first day of practice (you will not be able to practice without all 4 items taken care of and without obtaining an ORANGE CARD). Forms can be turned into the Co-Curricular office during August registration in the summer and throughout the school year. Please do not wait until right before your season! Forms need to be completed only ONCE for the school year and will allow the athlete to participate in a Fall, Winter, and Spring season sport. NOTE: Must be on WIAA Physical paperwork found here. “Clearance Form” is the page to be turn in to Co-Curricular office. Please print form from here on the HUHS website, do not rely on your doctor’s office for the form. Physicals dated April 1, 2017 - March 31, 2018 are ONLY good for the 2018-19 school year. Physicals dated April 1, 2018 - March 31, 2019 are good for the 2018-19 and 2019-20 school years. Please read the 2018-2019 Co-Curricular Code, the 2018-2019 WIAA Eligibility Bulletin and Safe Sports Info prior to signing. Refunds of co-curricular fees must be requested in writing by June 1st of the current school year in the athletic office for students who did not make the team roster. HUHS "All Season Sport Pass" for the 2018-2019 will be available for purchase at registration and at all home ticket gates. The pass is $50 for one pass or $75 for two passes. Passes admit ONE individual per pass to all HOME sporting events during the 2018-2019 school year; only exception is post season WIAA playoffs games (ie. Regionals, Sectionals). Passes are not valid at plays, musicals, or events held at the Schauer Center. Regular ticket prices are $5.00 for adults, $3.00 for students. Hartford Union High School is pleased to offer for senior citizens, age 65 years of age or older the opportunity to attend all sporting events and concerts held at HUHS. When attending the events, please let the ticket sellers know that you qualify for this wonderful special and your admission will be waived. Free admission is NOT valid for WIAA tournament games and school plays, musicals, or events held at the Schauer Center. 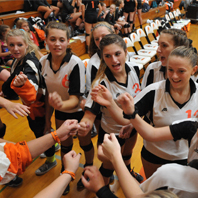 Beginning in the 2012-13 school year, students may complete an additional one-half credit in English, social studies, mathematics, or science in lieu of one-half credit in physical education when they participate in a WIAA-sponsored sport as part of the District’s athletic program. To take advantage of this opportunity, you must be signed up for the course with your counselor in the counseling office. 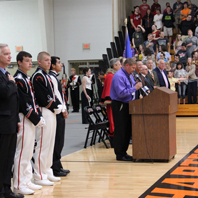 Click here to view more information on the recent addition to the HUHS Board Policy 5460 - Graduation Requirements. Click here to view the WIAA Credit Verification form and for 2018-2019 deadline dates for each sport. The completed form needs to be turned into the Athletic Office by the student athlete two weeks after the respective season ends. NOTE: The sport being used for the verification of completion must occur in the same school year as the PE III WIAA-CPL class is enrolled. 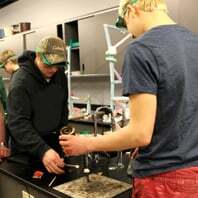 For example, a student enrolled in PEIII WIAA-CPL for 2018-2019, must compete in a sport during the 2018-2019 school year as well.